1. We recently got engaged. 2. We just--you know--for the first time. So while now might not be the best time to blatantly disregard Nick's wishes, it also might not be the time to pretend I'm able to turn myself into someone completely different from who I am. I mean, he gave me his mother's ring and said he wants to spend the rest of his life with me. Surely that trumps a little concern over my curious side, right? This is the way I see it. Nick's a good guy. Like, he was probably a boy scout. He's considerate, does the right thing, maintains a clean image. He probably doesn't wait until the third notice to pay the electric bill like I do (why does the electric company even have a system that generates three different notices to pay if they really expected me to pay when they send me a bill? I like to see the first two as suggestions. The third one is pink. Clearly by that point, they mean business.) But back to Nick. One of these days he's going to be the one who gets into trouble and he's going to be happy to have me by his side. Wait--you don't think that's why he asked me to marry him, do you? Great. Now I have something else to worry about! After two decades working for a top luxury retailer, Diane Vallere traded fashion accessories for accessories to murder. 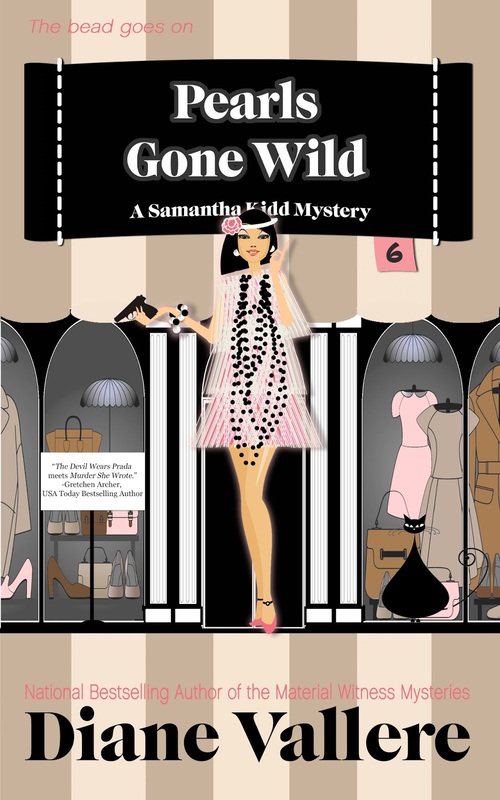 She is the president of Sisters in Crime and, in addition to the Samantha Kidd mysteries, also writes the Madison Night, Costume Shop, and Material Witness mystery series. 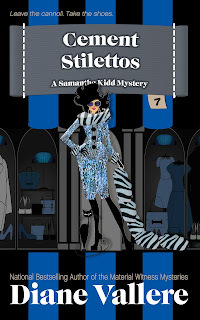 She started her own detective agency at age ten and has maintained a passion for shoes, clues, and clothes ever since. Want to read all about that engagement? Leave a comment for a chance to win a Kindle copy of PEARLS GONE WILD, the previous book in the series. Just answer this question: Are Nick and Samantha headed for happily ever after or will there be bumps in the road? There are always bumps. I look forward to reading more. I would guess many bumps--have to keep things interesting! Thanks! Bumps and a good story I would say! Without curiosity where would Jessica Fletcher have been and her Husband survived it. Thank you for the contest I love ebooks. I think there will be bumps in the road but happily ever after will prevail! Congratulations, Karen! You're the winner of an ebook of Pearls Gone Wild! The best thing about Ms Vallere's books - her characters are funny and quirky and oh yeah funny. The people in her stories are people you would love to know in real life...except for the bad guys. After all, she only has his best interests at heart! Sure, I think Samantha and Nick could be happy together. He has stuck by Samantha's crazy life so far, why would he ever stop, lol. I think there will be some bumps along the way for Samatha and Nick, but I think they could be happy together. Bumps in the road that they will work through for their HEA. I loved Designer Dirty Laundry...this sounds great! As for bumps...we all have them, so even fictional literary characters should have them! Mostly happily ever after but with some bumps. I know there will definitely be bumps along the road. Life is not perfect for all of us, so even fictional characters will encounter them.